Many of you have asked me over the past few months, “How are things going with the Fairgrounds families?” My response, “Not exactly the way I’d hoped things would go….”. On August 14th, all the families were evicted from the patch of dirt formerly referred to as RV South. RV South was a little known living area for about 45 families whose primary work was tending to the race horses that were stabled at the Alameda County Fairgrounds. These families lived and worked among us in Pleasanton, but we may not have known them. The kids went to school with our kids, they shopped at Safeway, and some worked at local restaurants and assisted living facilities in town. But having seen their living conditions and the myriad of problems they dealt with daily, it was impossible for me to “un-see” them. When God put this opportunity to serve in front of me, I was nervous and doubted what I could possibly do to help. I don’t speak much Spanish, I can’t pretend to know or understand their culture and living situation. Why would they trust me, let alone even like me, as an outsider coming in to their world? I had so many seemingly rational reasons not to enter in. But God kept supplying me with his wisdom…just to listen, to be fully present, to be humble and respectful, to be consistent in going to meetings and following through on any promises I did make. There was a team of four ladies (myself, the PUSD Spanish speaking social worker, a volunteer from Graceway church, and the director of CityServe) who listened, encouraged, and prayed for the dozen or so women who came to our regular meetings. We brought out many resources to help the families where it made sense – access to more healthy food, diapers, proper car seats, summer recreation program scholarships, clothing, counseling services for domestic violence and learning about credit. Through the kindness and generosity of Valley Community Church, we held onsite English language classes, craft classes for the kids, and exercise classes for the women. 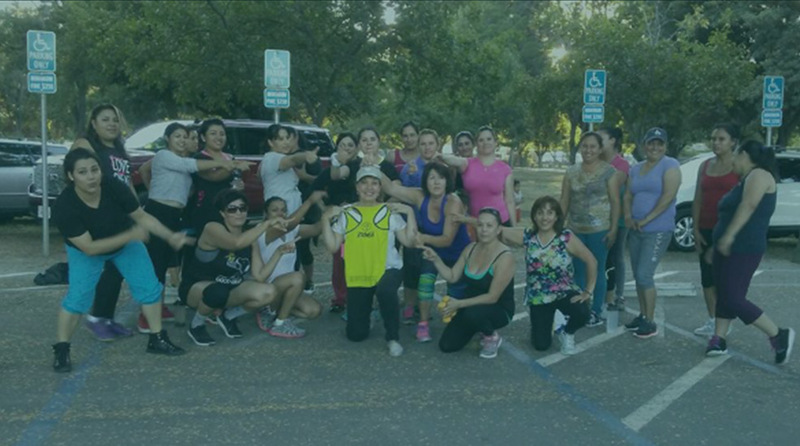 It was pure joy to sweat with the ladies, dancing and laughing to Spanish music in the dusty fairgrounds parking lot. Everyone was excited and the ideas were flowing: computer classes, after-school tutoring, movie nights, parenting classes, Bible studies…the possibilities seemed endless. We just needed indoor space at the Fairgrounds. Unfortunately, we hit a big wall. It didn’t make sense to me why we couldn’t use an empty office space when we had the support of the church, the school district, and the City of Pleasanton. It was then we learned of the horses leaving Alameda County Fairgrounds due to loss of funding from Golden Gate Fields. This started the beginning of the end. The news changed the atmosphere from one of optimism to one of fear. Now I know, fear is not of God, but having no job and no place to live made for anxious times for these families. Meetings were held with Alameda County Supervisors, Fairgrounds management, local housing authorities all to little avail. We four ladies turned to God, asking and praying for his provision, job opportunities, school stability and places to live. There were MIRACLES! Three trailers were donated to avoid homelessness for three families. One resident is currently in process for her US visa and has a brighter future for her two daughters. An elderly, disabled resident living in extreme poverty will be moved into a new trailer or possibly a board and care facility. We began and ended every meeting with prayer. The eviction date was delayed six weeks to give families more time to plan. God’s grace and mercy was evident and sufficient. But where do we go from here? What’s next for the Stability Ministry? The good news is that the Stability Ministry will continue! And it’s new “version” is just beginning. Is it emotionally taxing to really “enter in” and walk alongside those in need? Answer: YES. Is it always convenient to enter in and walk alongside someone in need? Answer: NO. Is it necessary to get CLOSE to a situation to really see a person’s needs first hand? Answer: almost always, YES. I used to think that writing a check or volunteering at an event was service enough. Now I think differently. Is entering in messy, awkward and sometimes uncertain? Answer: YES, but the rewards and blessings make it the most important thing we apprentices of Jesus can do. Take a moment, search your heart….ask God to reveal to you what breaks his heart that also breaks your heart. Find a way to enter in, take that first step and SEE. Our discipleship is incomplete without it. So stay tuned for updates and ways to get involved in Stability Ministry 2.0! Jill Lorentz has been attending VCC for almost 20 years. 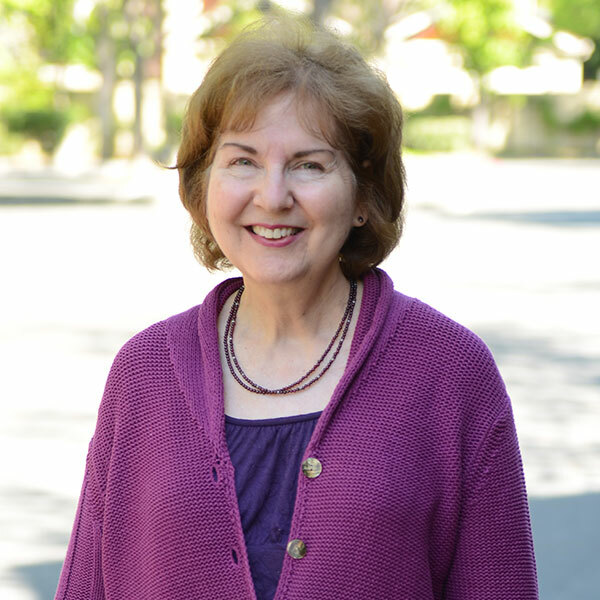 She loves serving others and connecting people through CityServe Tri-Valley where she volunteers as Director of Church Liaison Relations. She is married 26 years to the amazing Cameron, and mom to Jake (24) and Claire (21). Jill is the head chef at The English Rose Tea Room in Pleasanton and has a mean tennis serve. Beautifully written, Jill. Thanks for sharing your experience in answering God’s call and stepping out of your comfort zone to serve the marginalized. God does amazing things through our tentative baby steps.